If you want to come across as a trendy and fashionable homeowner, a water feature is a must in your home. It is not necessary that when you include water features in your home, it should be a pond for fish. You also can go for simple waterfalls that can enhance the look and feel of your home, while boosting the resale value of your property. Also, a waterfall can be located indoors. In fact, an indoor waterfall has its own advantages, especially if you are not an outdoor type of person and still want to enjoy the benefits of having a waterfall in your home. The musical and tinkling sounds of the water can be soothing and relaxing. It can add a sense of tranquility to your garden or home, depending on where the waterfall is located. Waterfalls also can become focal points if you install them near your garden path or on your deck. Just the sound of water falling can create a magical sound that can de-stress and calm your nerves after a tiring day at work. 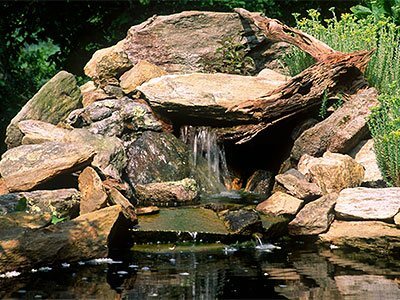 When you have a waterfall, you can even grow water plants or just opt for a rockery. You will be able to spend hours in front of your waterfall just watching the water flow from one end to the other. Alternatively, you can mount a waterfall on your wall and viola, you have a wall waterfall that will enhance the décor of the room. A wall waterfall can be made from copper, slate or glass and looks like a work of art. You can rely on Unlimited Landscape Hawaii LLC in Hawaii to come up with the perfect design for your waterfall. We also will install it. Our waterfalls are known to be unique, mesmerizing and gorgeous. Above all, our prices are affordable and our service prompt and reliable. We can blend waterfalls with the existing landscape or make it part of a new landscape design. With our innovative and creative designs, water features can seamlessly become a part of your landscape and enhance its appeal. Our water features can enhance the value of your property, as they are aesthetically designed and inform potential buyers that your home is cared for and looked after well. As a homeowner, when you install a waterfall, it gives your garden a well-maintained look and feel, while making it unique and fresh. Water features have become the norm in Hawaii today. Give your home a unique look and enjoy the benefits of a waterfall. We at Unlimited Landscape Hawaii LLC can install waterfalls in most parts of Hawaii, like Ewa Beach, Kailua and Mililani. We use quality materials to construct the waterfall and you will love our keen eye for details. Our prices are affordable and our service superlative. 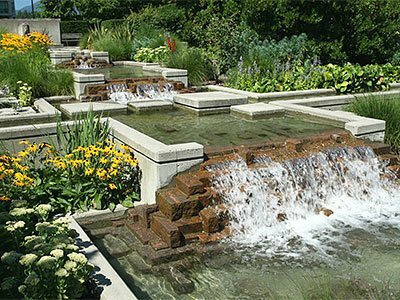 We will not give you a reason to complain and when we finish installing the waterfall in your yard or home, you will be left speechless by the sheer beauty and effect. So, call us today on 808-726-9495 and speak to our friendly and courteous staff about adding a waterfall on your property.